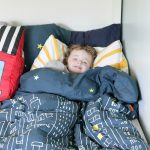 A huge thanks to our friends at Walmart for sponsoring todays post. 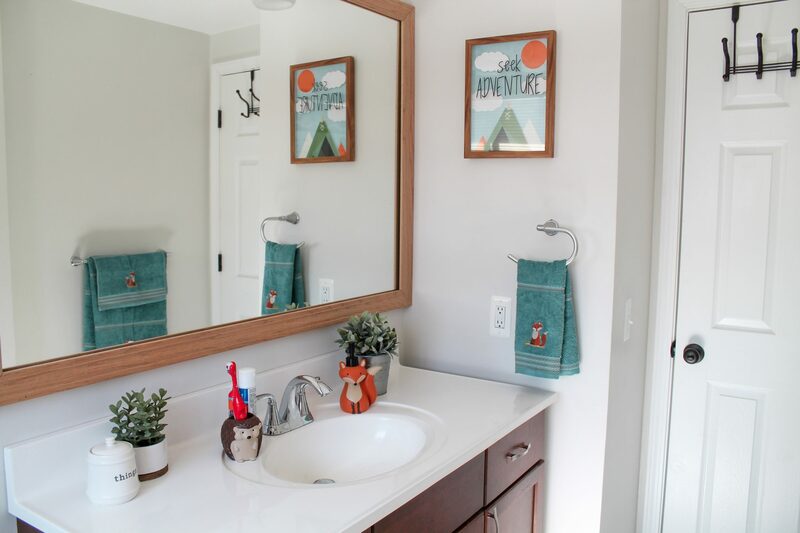 Keep scrolling to see our Budget-Friendly Woodland Themed Kids Bathroom Makeover! We moved into our home nearly two years ago, and we still have rooms on our list to refresh. One of those was my boys upstairs bathroom. It’s right in between both of their rooms, the perfect location for a kids bathroom. 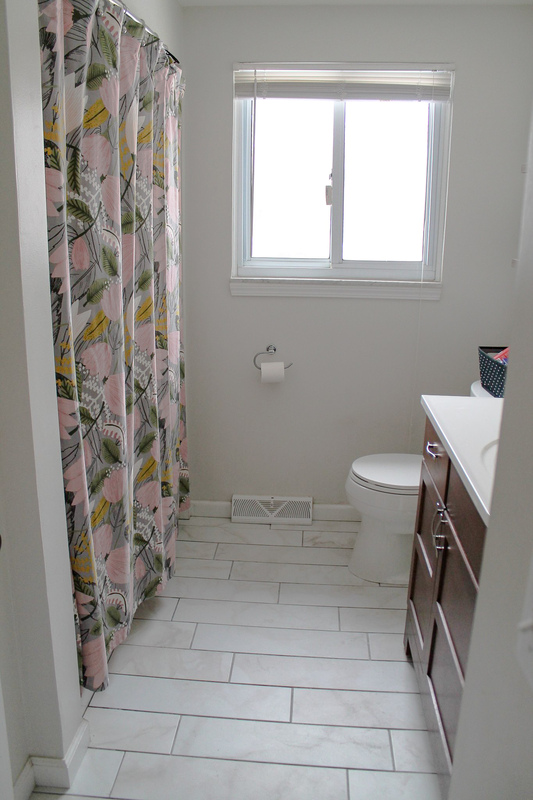 The bathroom was pretty much undecorated before, with just a floral shower curtain and some rustic shelves. See what I mean? Very plain, and just not fun for the kiddos. It needed color, adventure, and magic! 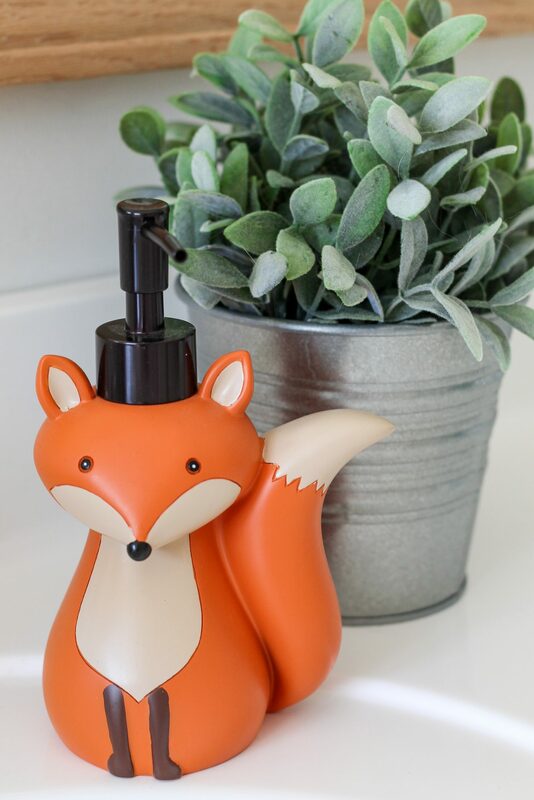 My boys are true nature lovers, so when I spotted the ADORABLE Woodland Creatures collection at Walmart, I knew it’d be the perfect fit for our bathroom refresh! 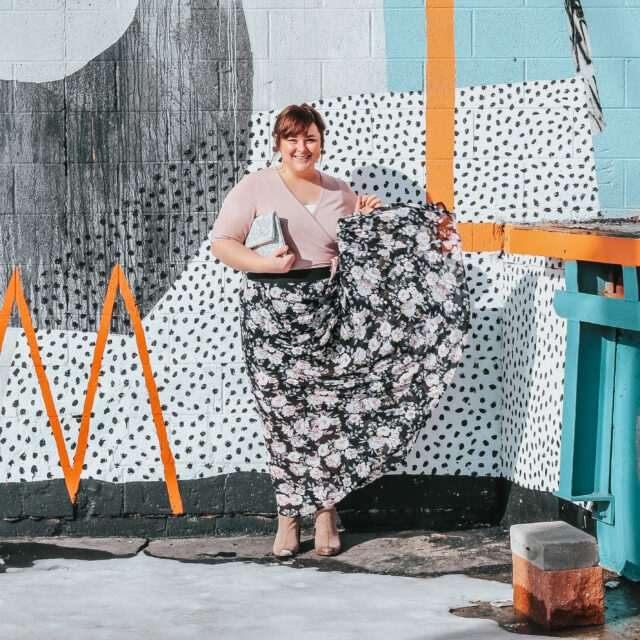 With pops of bright orange and teal, it just felt like an energizing breath of fresh air. It took just minutes to set everything up, and the difference was just incredible. Ready to see more? I just love the color and personality this bathroom has now. The woodland characters added such whimsy to a space that desperately needed it, don’t you think? 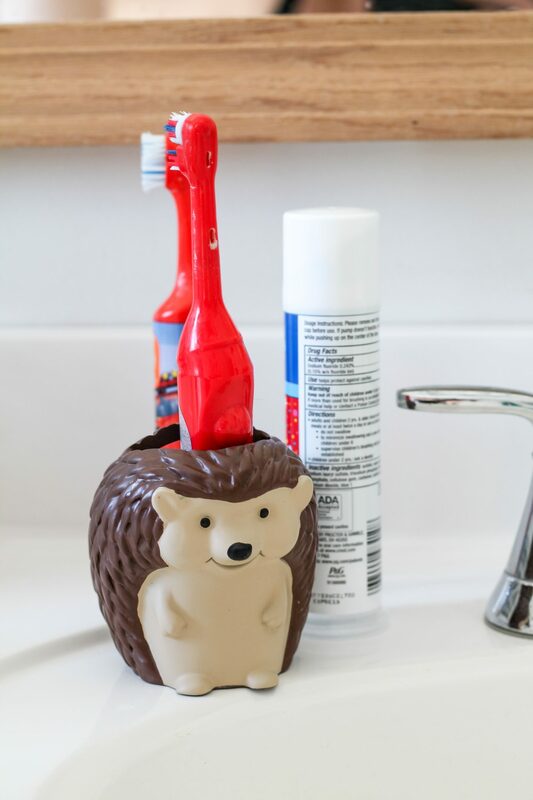 The little hedgehog toothbrush holder and the Fox Pump are my favorite additions to the space, I just think they’re so cute! I made sure to get some extra towels to put right in arms reach so they’re easily accessible for the boys. 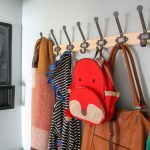 I also added a command hook to the side of the bathroom sink to hang the boys potty seat – this is a MUST for every bathroom in our house, such a clever little hack to keep that seat off of the floor and out of the way. 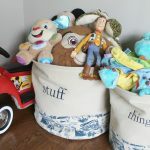 And with the woodland waste basket right by it, it “should” be impossible for the kiddos to miss tossing anything in. The key word being “should“, ha! 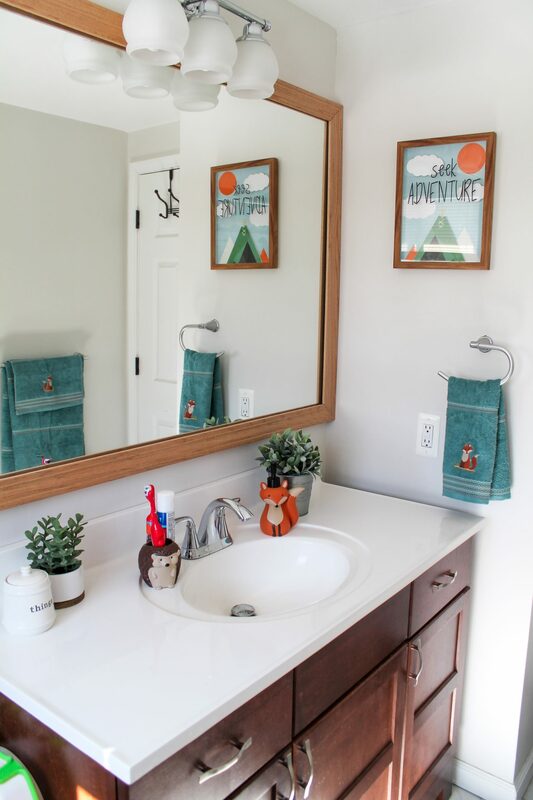 We happened to have this cute seek adventure art before, and it fit perfectly into the new bathroom. 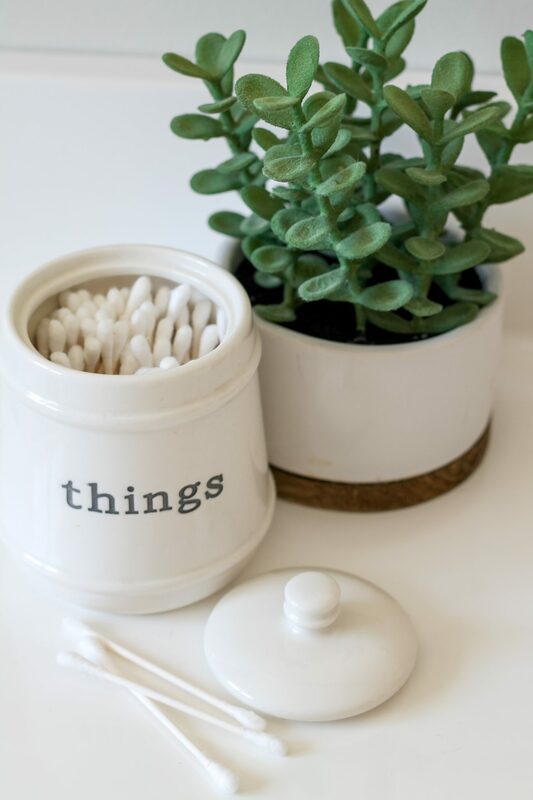 The ceramic “things” container is also from Walmart, and the faux plants were pulled from around our house to add some greenery. Because if you’re going to have a Woodland Creature themed bathroom, ya gotta have some plants, right? 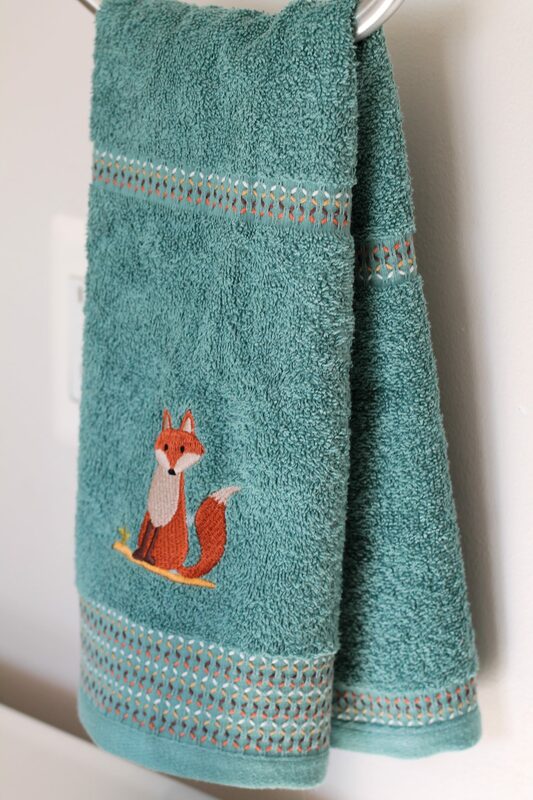 And since this is my kids bathroom, it was best that they were faux. 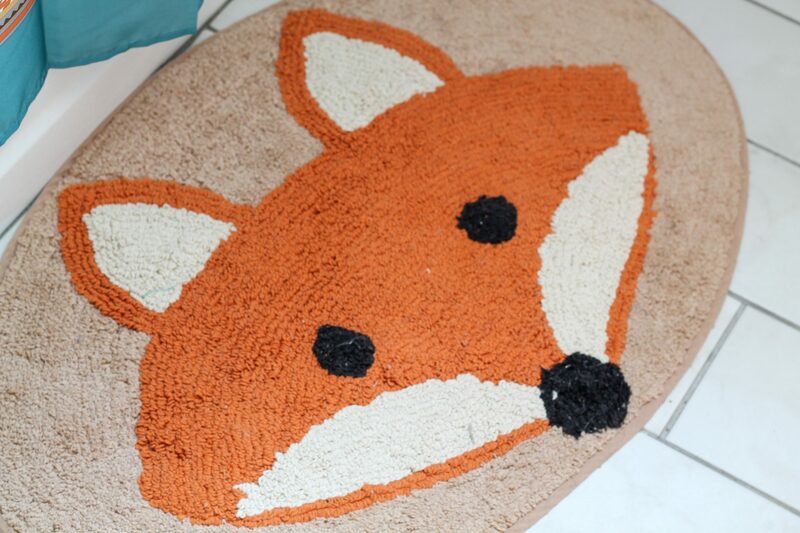 How sweet is this fox bath rug – it was the first thing the boys noticed when they saw the freshly decorated space. Seriously, though – how could you not smile stepping out onto that rug everyday? And the matching shower curtain and curtain hooks just really stole my heart and added to the charm of this bathroom. It’s all in the little, special details. 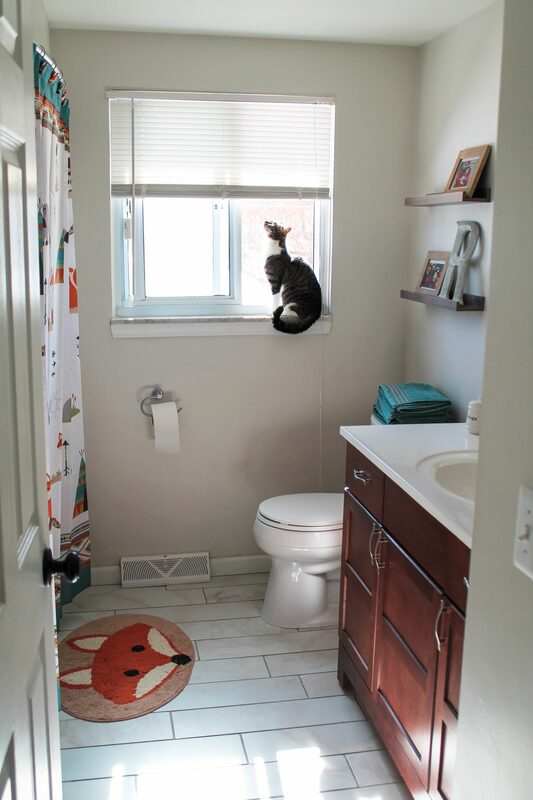 Both boys were just blown away when they stepped into their updated bathroom for the first time. And it made my heart soar seeing the smiles on their little faces. 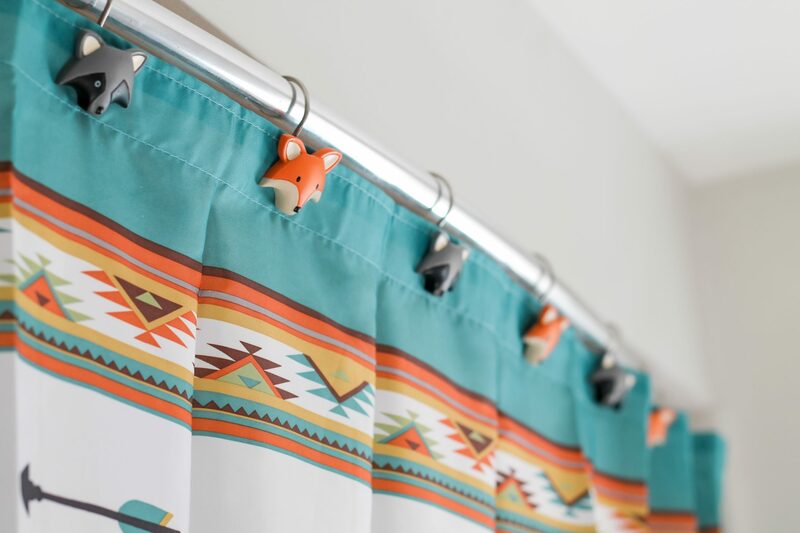 They absolutely LOVED the pops of orange and teal, and of course, the adorable woodland creature accent pieces. Levi was ecstatic about the towels and couldn’t wait to take a bath so he could use one. 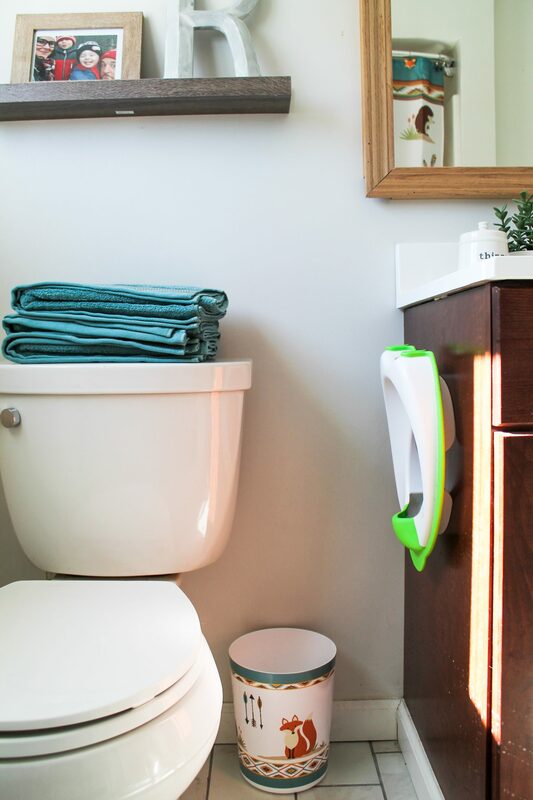 Could your kiddos bathroom use a little refresh? 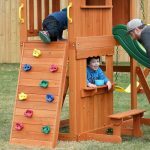 We completed ours on a budget with Walmart, and we couldn’t be more pleased! There are so many amazing and affordable bath items to choose from, and a ton of items with 2-day shipping, so make sure you browse www.walmart.com before starting your next home project! 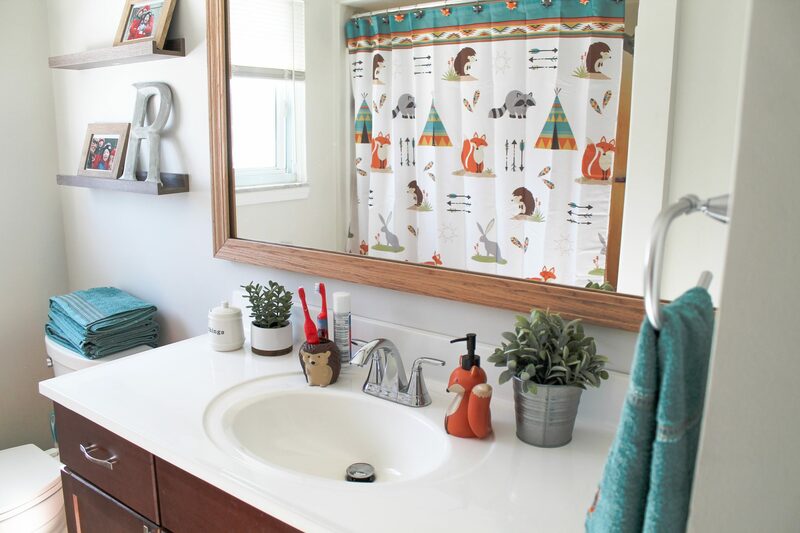 And just in case you’re loving the woodland theme, too – I created a shoppable widget where you can find all of the items we used in our bathroom refresh!